• White top line and mirror black ion-plated sole. • Multi-material 8020 PureRoll insert made of 80 percent Surlyn and 20 percent aluminum, for smooth roll and excellent feel. • The high-contrast topline and strong black parallel lines on top are excellent alignment aids. 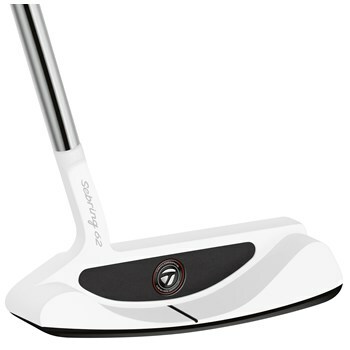 • ½ shaft of offset and a short curve neck hosel.